As Halloween is in the air, this is a perfect time to talk about your bone health to help prevent osteoporosis. Osteoporosis is a common cause of disability and medical problems as adults’ age. Osteoporosis causes the bones to become brittle and weakened to the point that a mild fall can lead to a fracture. Fractures related to osteoporosis commonly occur in the spine, wrist or hip, and they can lead to significant disability and long recovery times. Osteoporosis develops slowly over a long period of time and there are few, if any, symptoms for many, many years. By implementing lifelong preventative measures, you can reduce the chance of developing osteoporosis and ensure that you remain healthy as you age. 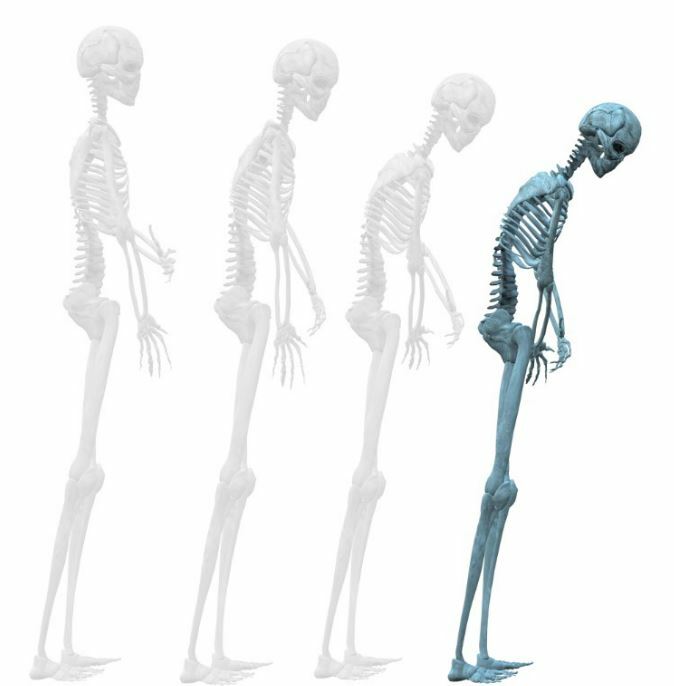 Eventual symptoms of osteoporosis can include a loss of height over time, back pain as a result of fractured or collapsed vertebrae, bone fractures that occur easily, and stooped posture. Reduce or eliminate your alcohol consumption. Excessive alcohol consumption of more than two drinks per day is associated with a higher risk of osteoporosis. Although the association with tobacco use and osteoporosis is not exactly clear, it has been shown that chronic tobacco use may result in weakened bones. Avoid a sedentary lifestyle. Those who spend long amounts of time sitting will have a higher risk of developing osteoporosis compared to those who are physically active. Be sure that you are getting a sufficient amount of calcium and vitamin D in your diet. Sunlight exposure helps your body produce vitamin D. Calcium can be found in a wide range of foods including dairy products, sardines, soy products, calcium fortified drinks, and supplements. The sooner that you implement these lifestyle changes the better, as osteoporosis starts to develop years before any symptoms occur.